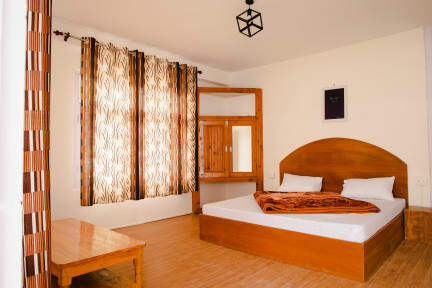 Located amidst the most alluring part of Manali i.e., Old Manali, House of Amigos is a magnificently designed youth hostel. 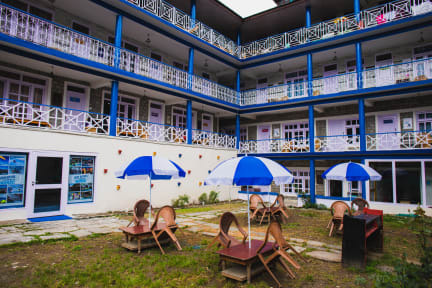 Yes, a hostel can be magnificent and we live by that ethic - providing delightful quality services in an exciting hostel set up. Believing in the power of travel, HOA is a conducive environment to make friends and explore other cultures and nationalities. We have a common funstaytion area equipped with Netflix, Playstation and board games for all you newly made friends to bond. We also engage our amigos in entertaining activities like yoga, food walks, pub crawls, beer pong, karaoke, live music on a daily basis. We are your ally and not just your service provider. Our vibe is a concoction of modern, exclusive, friendly and comforting details with a pinch of Indian tradition to integrate your experience with the essence of Indian air. 4. Payment upon arrival by cash. Credit cards are accepted.